A flash of electric blue low along a stream is often the only glimpse many of us have of the vibrant Kingfisher. 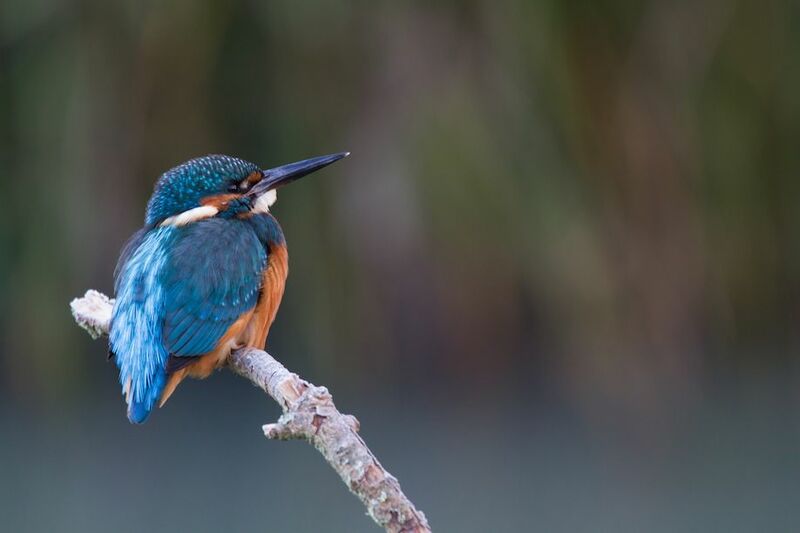 Frequenting still and slow moving waterways, this bright blue and orange ‘bullet’ of a bird often hunts from perches, catching small fish and aquatic invertebrates. 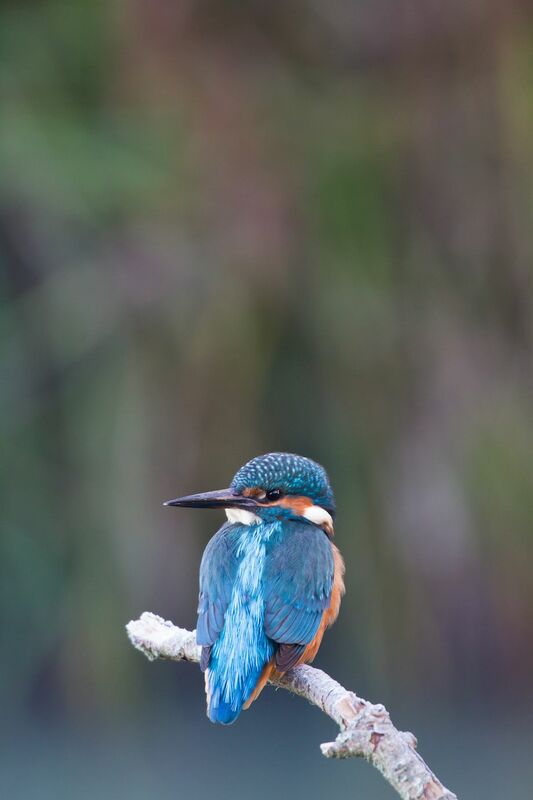 My love of Kingfishers started several years ago, when I was lucky enough to have one hunt from a perch in front of me. I had been sitting in a hide in sub zero temperatures, but my frozen hands were soon forgotten when this jewel appeared. Sun glinting on iridescent plumage, I just not believe how stunning this little beauty was. 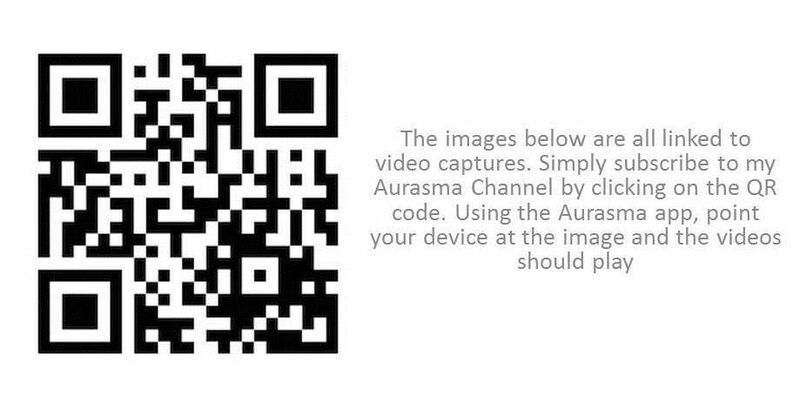 I took me another 4 years before I was treated to close-up views of Kingfishers again, but this time my footage was captured in a completely different way. Working on a 7 acre site in Worcestershire,called ‘Yew View’, I have been monitoring the wildlife here using Bushnell trail cams. 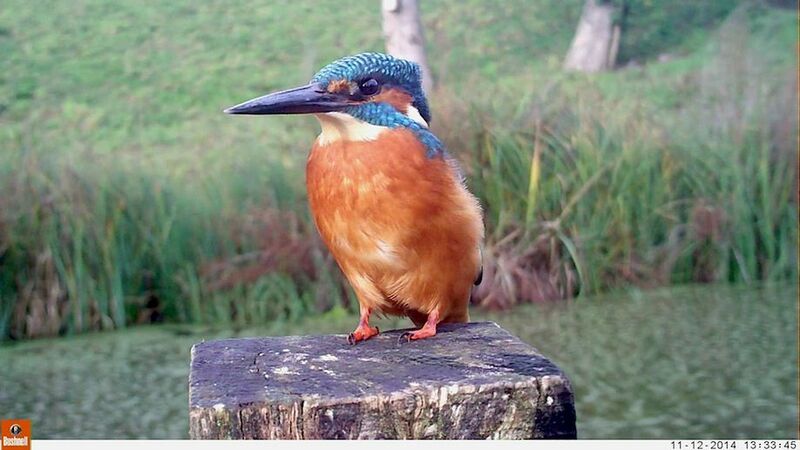 These remote cameras are fantastic for unobtrusively monitoring activity and when the footage showed a kingfisher hunting from a post next to the wildlife pool in the grounds, I was absolutely delighted. Just as with DSLR captures, the best trail cam footage is captured by getting the cam level with the subject and as close as possible. 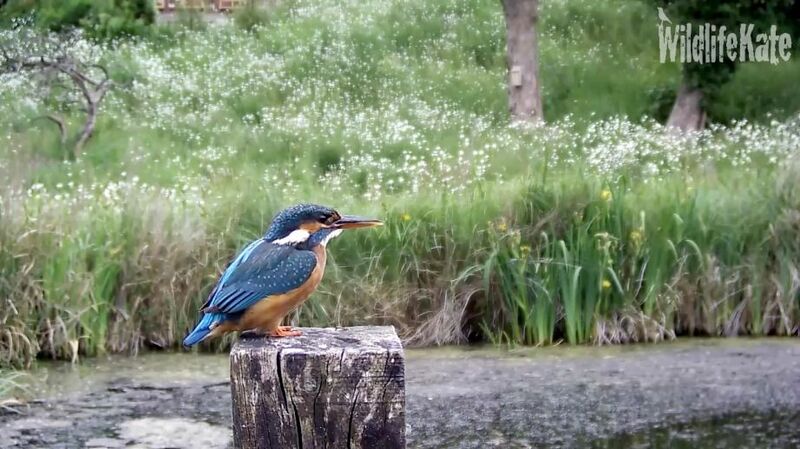 My initial footage had been with the standard lens, meaning the Kingfisher was quite small in the frame. Using a 46cm close-up lens on the front of the Bushnell NatureView trail cam, I would be able to get closer to my subject. 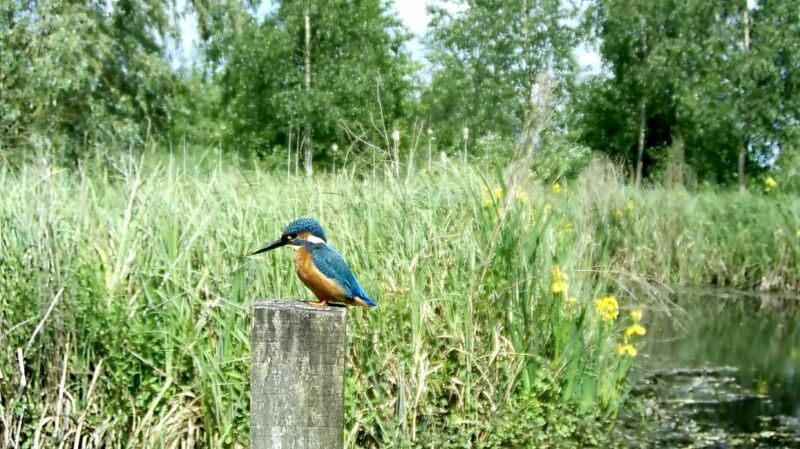 I mounted the cam so it was focused on the post where the kingfisher seemed to be hunting. It took me a couple of months to get the camera positioned perfectly to capture the beauty of this stunner! 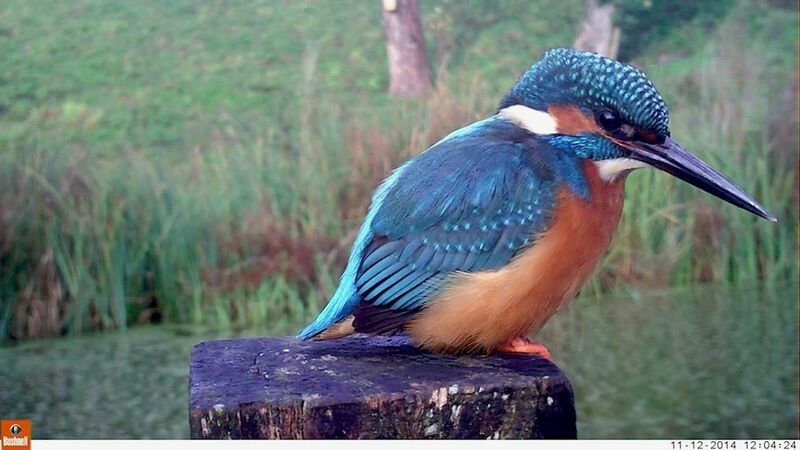 The range of Bushnell footage I had captured showed that these kingfishers were regular visitors. Wanting to watch them as much as I could, I installed a HD wired camera. I was able to focus the camera close to the favourite post. This camera was wired back to a computer in the office, recording constantly, so I was able to monitor visitors and capture a huge range of wonderful footage. Initially, I set the camera about a metre and a half from the post and captured this footage. Experimenting with camera position, I eventually managed to get the camera in a position where both the Kingfishers and other visitors to this post, were more prominent in the frame. This new footage showed that we had at least two males, distinguished by their differing beak lengths. 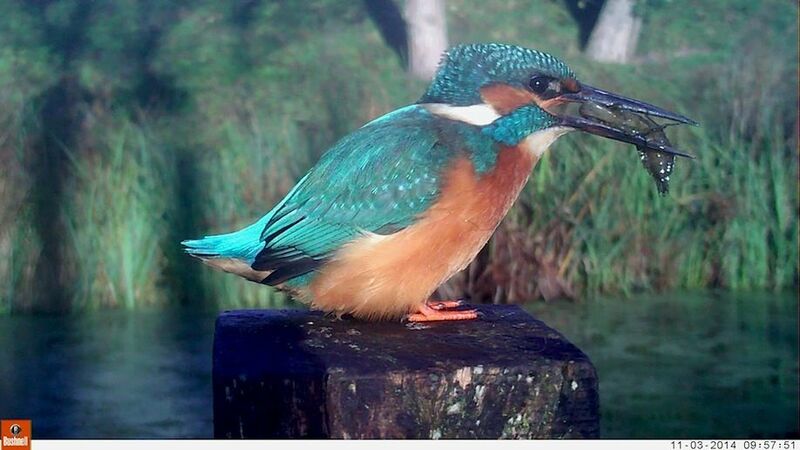 We also seem to have two different females, easily recognised by the orange on the lower mandible of their beak. Not only have I captured the kingfishers catching a variety of prey, but also natural behaviour such as washing and preening. Possibly the most exciting footage was a fish pass between male and female. 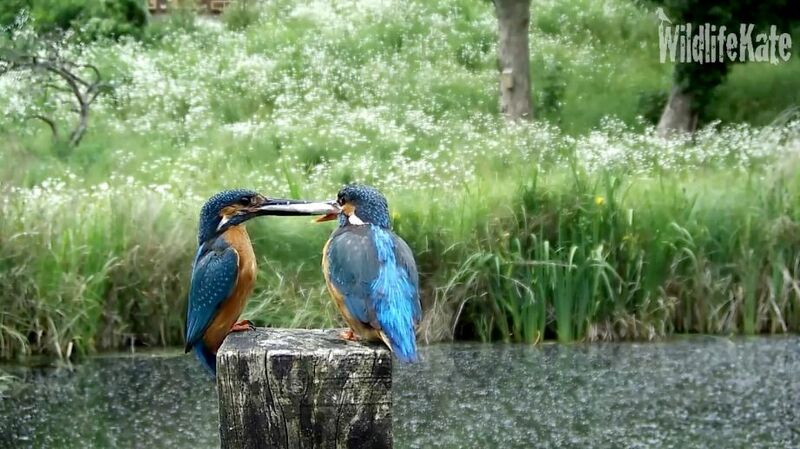 As part of their courtship behaviour, the male will catch fish and present them to the female. Amazingly, we captured this on the camera. 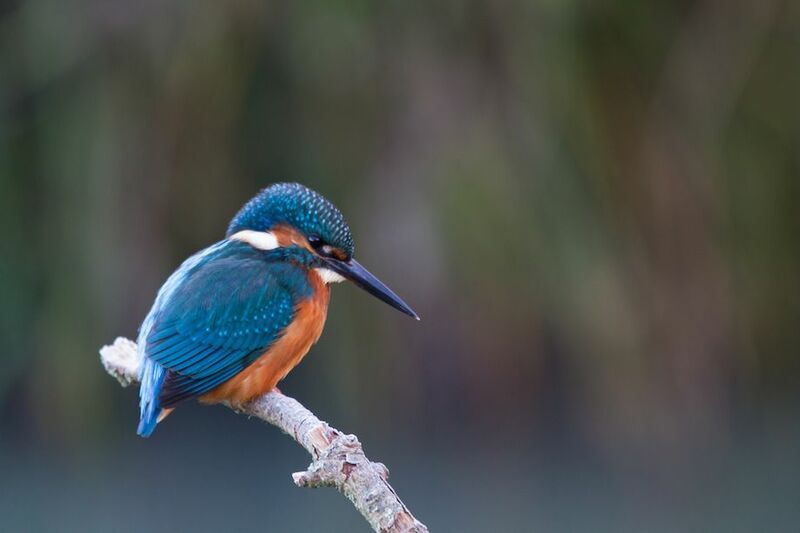 The Kingfishers have become regular visitors, using hunting two or three times a day from this pool. My next challenge is to capture images with my DSLR. The hide is up…. so watch this space!